Sprouted lentils are power food for all ages. Green gram have a rich protein . 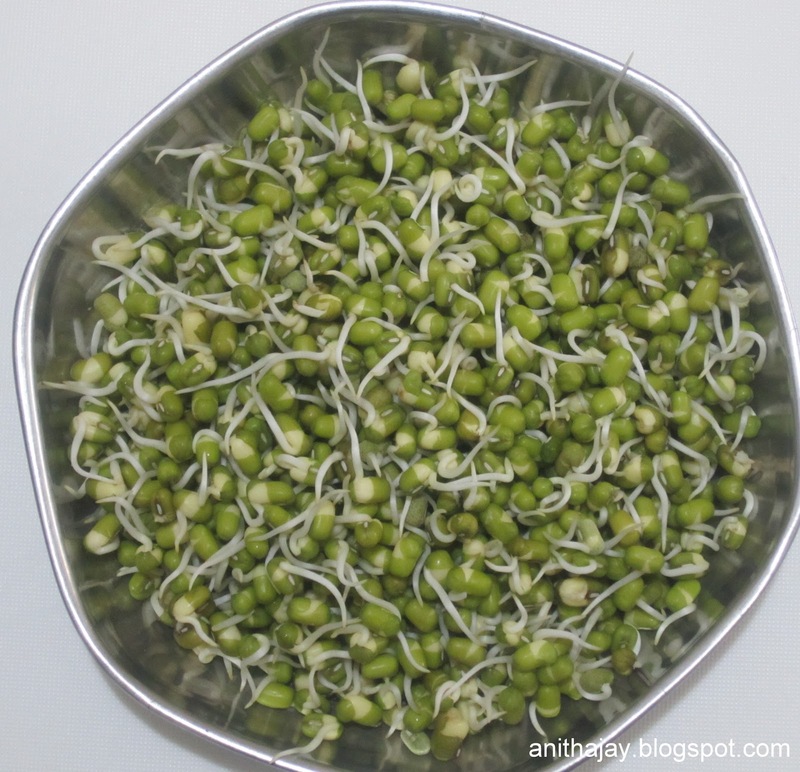 Sprouted green gram power pack protein rich. Sprouts always good to take as raw. Because cooking may vanish large part of nutrition. Sprouting lentils its a time consuming process. It will take around 48 hours. Take desire quantity of Whole green gram and soak it in a water for overnight. Next day morning drain the water completely and keep in a closed container at warm place. In the next day the sprout will appear. Enjoy the power pack protein food.